Ever feel like you're drowning in email? Before you complain, consider the inbox of Zappos CEO Tony Hsieh, who once told Digiday that he receives 1,000 to 2,000 emails per day. Hsieh decided to do something about it when he found himself getting increasingly stressed out about the high volume of messages. He found himself never responding to messages because it would take too long, and he would procrastinate. His frustration inspired him to develop an email management technique he named Yesterbox, which he has used for the last five years. The basic premise of Yesterbox is that yesterday's emails become today's to-list and—this is the tough part—you don't even skim today's incoming messages until you've sorted through at least 10 from yesterday. Another surprising Yesterbox rule is that you don't respond to any of the current day's non-urgent emails. As Hsieh writes, "If it can wait 48 hours without causing harm, then you are not allowed to respond to any emails that come in today, even if it's a simple one-word reply." Is he really advocating ignoring emails? To the newly initiated this might sound impossible, but here's his reasoning: "We're all guilty of procrastinating and looking for the easy emails to respond to first. By forcing yourself to do 10 at a time of yesterday's emails, it's a lot easier to power through the annoying or harder ones, and as you make progress towards the finish line of zero emails from yesterday, you see the finish line getting closer and closer … and when you're done processing all of yesterday's emails, you're done for the day." Of course in the real world, one must adapt the system to the needs. If you're waiting for your boss to email you about whether she can meet for lunch, or for your child's doctor to send along an urgent form, you can't just shut out incoming messages. But the point is to stop feeling as though you need to immediately respond to messages as they come in, and focus on your to-do list, aka the Yesterbox—not to mention all of the work you've been putting off because you're distracted by incoming email. To avoid the temptation of looking at what's coming in, Hsieh suggests that Outlook users collapse the "Today" group of emails so they aren't visible. Some Yesterbox fans set up bookmarks that only point to yesterday's mail, or, if they're using Gmail, enable a QuickLink. To allow for "for quick scanning and identifying those pesky emails which require immediate attention," tech executive Pascal Finette even developed a Yesterbox hack using Gmail's multiple inbox feature. Better spoke to Hsieh to find out how things have changed for him since he adapted Yesterbox, and also got tips on how to make the system work for anyone, whether they're a stay-at-home parent or top-ranking executive. Since you've started using the Yesterbox method, what's the biggest lesson you've learned? I didn't realize it at the time, but I think the biggest benefit and lesson I've learned is the value of clearing your mind and removing the nagging background stress of a feeling like there's a never-ending to do list (or stream of incoming emails) that you can never catch up on. Since then, I've learned and become a practitioner of the GTD methodology, and would highly recommend reading the latest 2015 edition of “Getting Things Done” by David Allen. In fact, we've started offering GTD classes and coaching for our employees at Zappos. In some ways, i think of Yesterbox as a lightweight version of GTD. What has surprised you the most about Yesterbox? I was surprised at how hard psychologically it was to transition to being comfortable with not worrying about non-time-sensitive incoming emails, but also after a week of practicing Yesterbox, how easy it became. How can people adapt Yesterbox if they don't have a super-senior position at work? 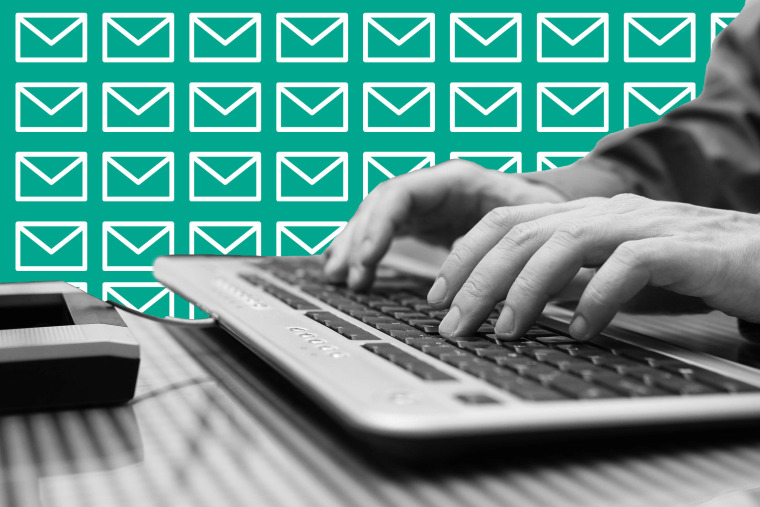 What if your boss expects you to respond immediately to his email messages? I would just ask your boss what the expectations are. The Yesterbox technique doesn't say don't respond to any emails that come in today. It just says if it can wait 48 hours without causing harm, then don't answer it today. But it's up to you how to define harm. The other technique that I've found helpful is simply asking people to text me if there's a time-sensitive email that i need to respond to. What do you suggest for people who maybe don’t work in an office and are looking at a smartphone, and therefore tempted to constantly watch the stream of emails coming in? How can they manage that temptation? I would just set designated times to check email, or conversely, set designated times to be off email. Dedicate an hour to fully focus on spending time with your child for example, or dedicate an hour to reading a book without interruption. When I watch movies, whether in the theater or at home, I generally try not to check my phone. Once you've tackled your Yesterbox (assuming you finish in the morning), how often during the day do you think someone should look at their email? I don't think there's any universal answer, and the answer is probably situational. The way I think about it is what else could you be doing with your time or energy instead? If you're waiting in line at the DMV and you'd otherwise just be bored with nothing else to do, then checking email can help alleviate the boredom. But if constantly checking your phone is preventing you from fully engaging with another activity, whether it's a social activity, or reading, or anything that requires deep thinking, then maybe you should check your email or phone less frequently.